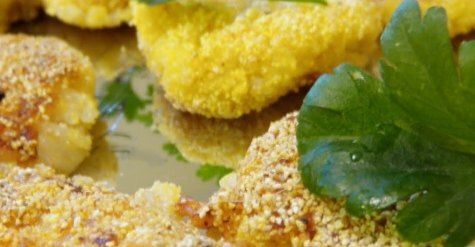 These unusual little croquetas contain artichoke in the rice mixture, and they break open to reveal a melting cheese centre. Manchego is made from sheep's milk and has a tart flavor that goes wonderfully with the delicate taste of the rice cakes. Remove the stalks, leaves and choke to leave just the heart of the artichoke; chop the heart finely. Melt the butter in a pan and gently fry the chopped artichoke heart, onion and garlic for 5 minutes until softened. Stir in the rice and cook for about 1 minute. Keeping the heat fairly high, gradually add the stock, stirring occasionally until all the liquid has been absorbed and the rice is cooked - this should take about 20 minutes. Season well, then stir in the Parmesan cheese. Transfer the mixture to a bowl. Leave to cool, then cover and chill for at least 2 hours. Spoon about 1 tablespoon of the mixture into the palm of one hand, flatten slightly, and place a few pieces of diced cheese in the centre. Shape the rice around the cheese to make a small ball. Flatten slightly, then roll in the corn meal, shaking off any excess. Repeat with the remaining mixture to make about 12 cakes. Shallow fry the rice cakes in hot olive oil for 4-5 minutes until they are crisp and golden brown. Drain on kitchen paper and serve hot, garnished with flat leaf parsley. 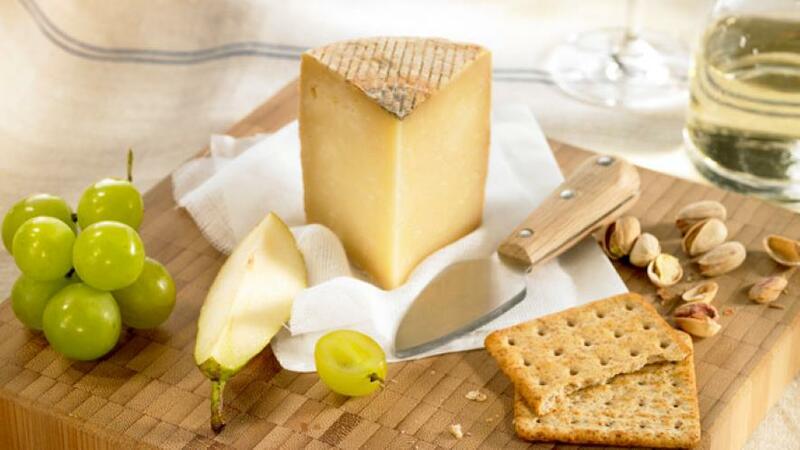 Manchego is, without a doubt, the most famous cheese in Spain. It has been consumed since time immemorial throughout the region of La Mancha. This has made it possible today for an important cheese industry to develop, which maintains handcrafted production of the cheese.